Who Wants to Make History? Who wants to be our first customer? Indie Hops is proud to be the first. We're the first hop pelleting, storage and distribution plant in Oregon. 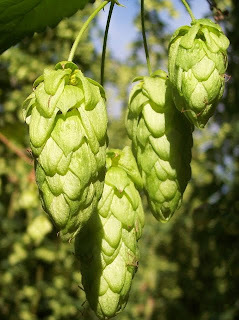 The first to grow, process and sell 100% pure Oregon grown aroma hops. The first to market exclusively to the craft beer industry. The first to pioneer a hop breeding program at Oregon State University with a laser-like focus on bringing new and improved aroma varieties to the marketplace. The first to attempt to sell organic aroma hops on a large scale basis. The first hops processor to seek certification under the USDA Organics Program. The first to take transparent pricing seriously -- we post on our website why we charge what we do. The first to create a brewer feedback loop so we can learn what varieties brewers want. Sustainable Oregon grown hops. State of the art pelleting. Transparent pricing. Cutting edge research. So who wants to be the first customer? Your customers won't regret it! You can tell your grandchildren! Give us a call at toll free 877.719.4677 or 503.452.HOPS (4677). We fired up our new Corr-Vac packaging machine last week. After hooking up the compressed air, electricity, and nitrogen, we circled the machine a few times and couldn't help feeling like we were in a sci-fi movie evaluating an alien visitor. Tubes connecting various parts... sounds of life-like inhaling and exhaling... and an eerily human shape combine to give the machine an other-worldly presence. We'll brainstorm on names. Our new employee is no friend of lingering oxygen in packaging. We dialed in sequence of vacuum/nitrogen infusion to displace any stubborn oxygen/vacuum again/nitrogen again/then a final vacuum. The dude is fast and thorough. I doubt I'll be able to keep up with him.